Google will shortly launch its streaming videogame product, Bloomberg reports, which will allow users to play games on a platform-agnostic basis. That may represent a threat to the platform and console revenues of the major systems manufacturers including Microsoft, Nintendo and Sony. Those firms have their own cloud-based strategies, such as Microsoft’s Project xCloud, which may make their console businesses less relevant. That may provide a challenge for the console business that had otherwise had a successful 2018. 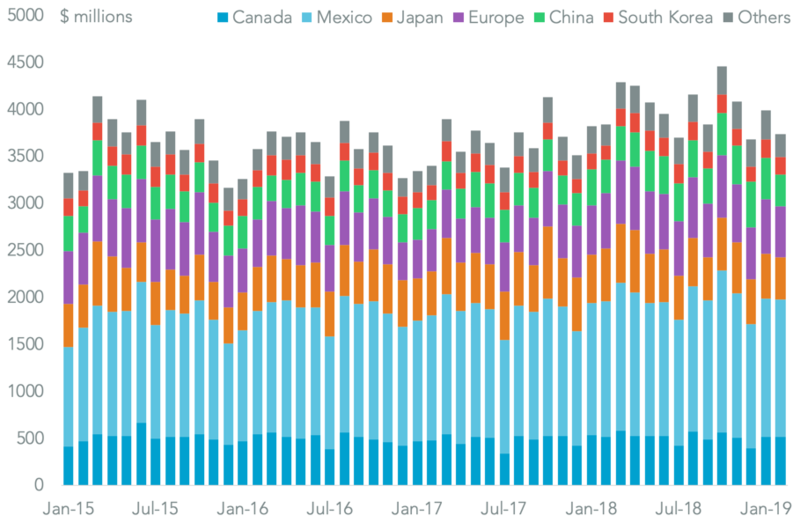 Panjiva data shows that U.S. imports of consoles climbed 17.6% year over year in 2018. 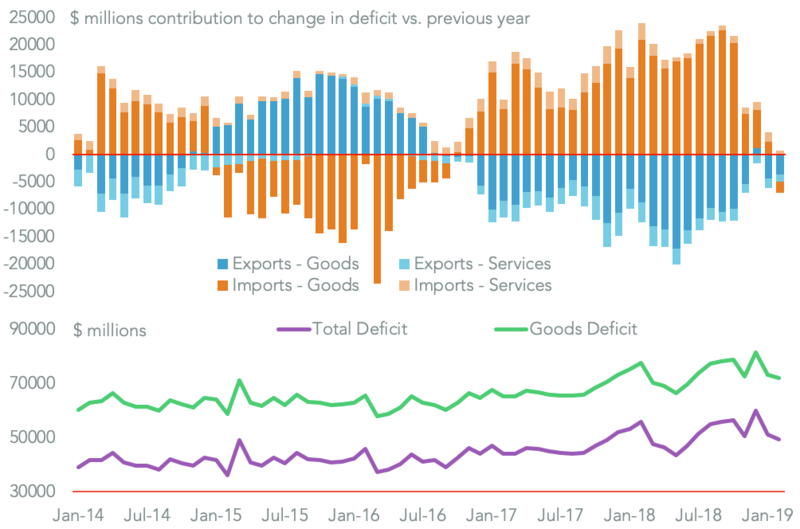 Yet, the start of the year looks less positive with seaborne shipments having fallen 24.3% year over year in January and February – though that is the quiet point of the year. 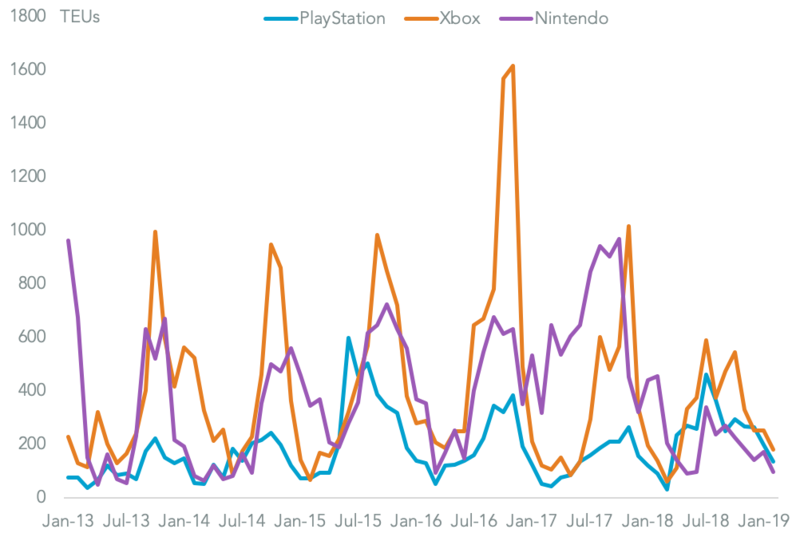 Sony and Microsoft have pulled ahead of Nintendo recently. Sony’s U.S. seaborne imports expanded by 31.0% in 4Q 2018 and have continued to expand by 58.4% in the first two months of 2019. That likely reflects continued success for its Classic console. Microsoft meanwhile saw a slump in 4Q of 41.3% but has since seen a reversal with a 29.5% recovery in the off-peak season. 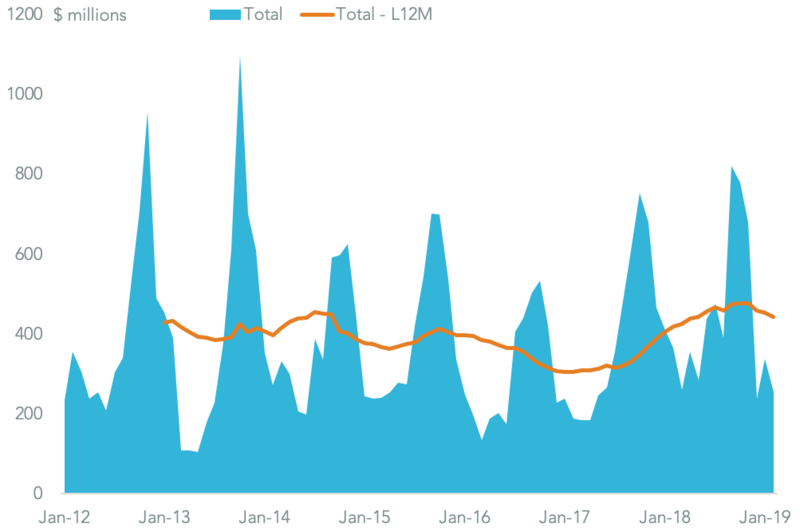 Nintendo finally has seen a marked deceleration of shipments with a 70.1% drop in the first two months of the year. 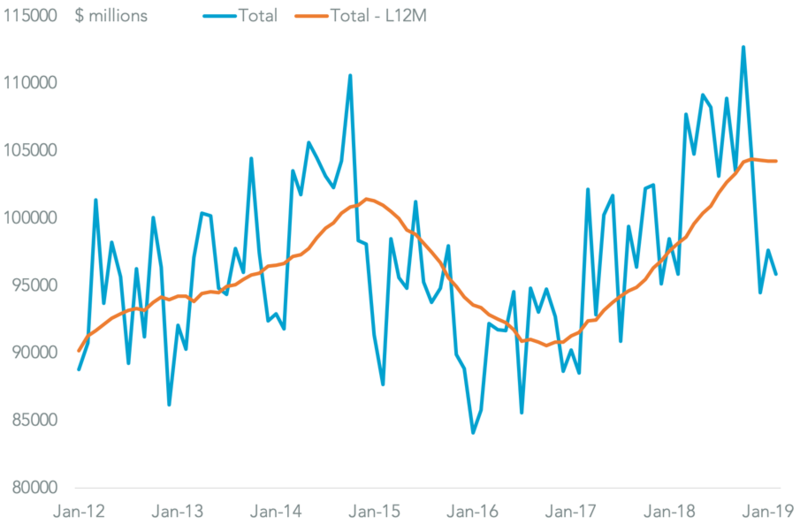 That may be indicative of a change in supply chain strategy as much as underlying weak demand for the Switch console where, as discussed in Panjiva’s research of Feb. 18, the firm has launched a spate of new products.